Cannes Film Festival award-winning and Academy Award-nominated Faces Places follows the story of iconic filmmaker Agnès Varda, marking a long-awaited return to filmmaking in the year of her 90th birthday by forging an unexpected collaboration with photographer JR, as they embark on a road trip like no other. After the success of our work on Curzon’s Apostasy campaign, DMS supported their documentary release Faces Places, by creating a series of social assets featuring dynamic text and eye-catching panoramics for Instagram. With a brief to ensure the content made Curzon’s Instagram account a user-friendly and interactive go-to destination for beautiful content that shows off their films, we were able to create a stunning display, highlighting key artwork using the 3/6/9 grid approach which included a varied amount of content from 30sec trailer cut-downs to clips, stills, etc. 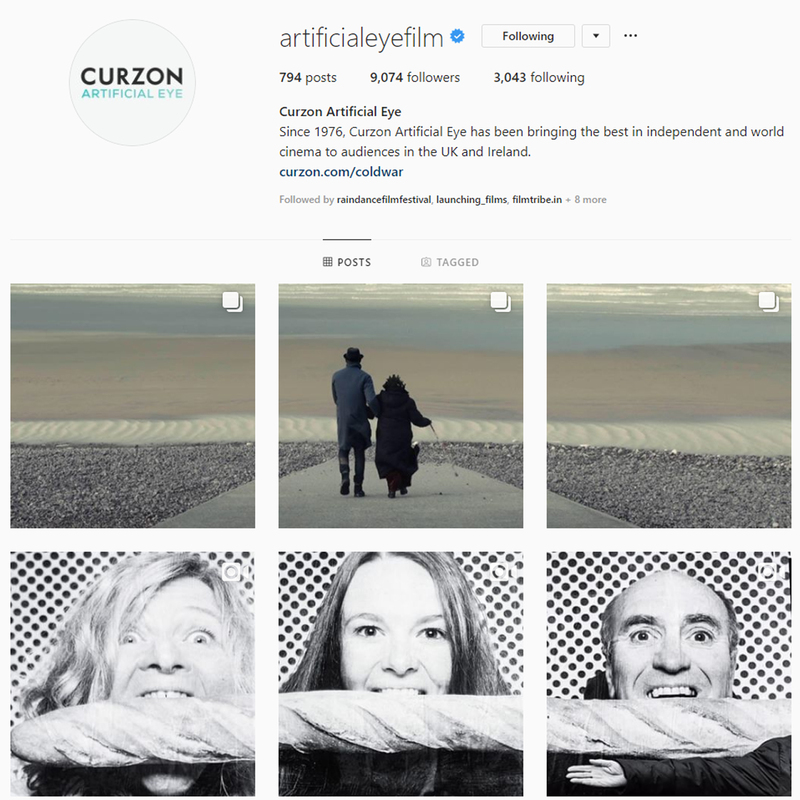 The suite of social media assets created by DMS was posted on Curzon Artificial Eye’s own Instagram, Facebook and Twitter channels, reaching their collective 65,200+ followers.